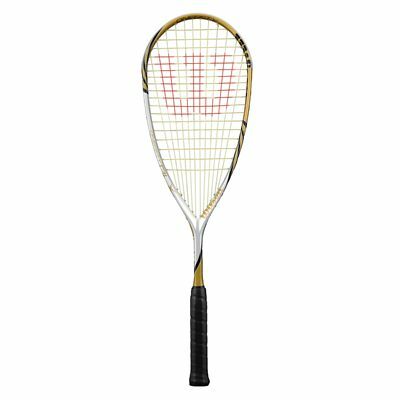 The Wilson One Fifty BLX squash racket has a head size of 77in2 (497cm2) and is head light balanced for extra manoeuvrability. The racket has a string pattern of 12x18 and incorporates the fabulous BLX technology to offer great vibration resistance and clean feedback. It weighs 150g (5.3oz) and features the Power Holes technology which enables 56º string movement and results in more power and increased sweet spot. The racket is strung with the Wilson Nylon string and comes with a full cover for protection. for submitting product review about Wilson One Fifty BLX Squash Racket.